PrintHustlers Conf is back for our third year! Profound knowledge and resources about sales, marketing, growth and technique in the decorated apparel trade. Industry leaders & experts from all over the U.S. – and beyond. If you're a relentless Print Hustler, you'll want to be in downtown Chicago at East-West University on July 12th and 13th, 2019. About: Mike Michalowicz has authored several groundbreaking books about entrepreneurship. Filled with actionable steps to take to bake profit into your business model, Profit First is a de-facto guide to keeping your print shop successful in the long-term. Mike brings his unique take on accounting, business acumen, and automating profitability to PrintHustlers Conf 2019. About: Brian has more than 2 decades of experience leading customer-facing teams at all stages of business development. The key to long-term prosperity in garment decoration is creating successful customers – and Brian will give you ways to begin executing that goal. About: Owner of Tacklebox Brand Partners, David is responsible for multiple high-profile branding campaigns (like Allstate's Mayhem campaign). You'll learn actionable steps for developing a powerful brand that reflects your values and sets your shop apart from the competition. About: Founder of Ryonet and Allmade, Ryan Moor is an iconic and highly respected industry leader focused on doing the most good for the industry – and the world. He will inspire you with his relentlessly positive mentality and impress you with his clear thinking. About: Rick Roth has won just about every award and earned every accolade the apparel decoration industry has. His shop, Mirror Image, is well known for print quality and taking on challenging high-volume jobs. He'll share stories and anecdotes about his storied history in screen printing. You can get a taste for his style by checking out The Ink Kitchen. About: Tom Davenport built a massive, standard-bearing contract printing operation in California. His stories about success, failure, and figuring out how to make it work have already made The Ink Kitchen one of the most informative and entertaining blogs about screen printing. We recently interviewed Tom about his story here. About: Leading consultant and industry expert, Mark Coudray offers insights into running and growing the best possible print shop. His decades of direct experience in the apparel decoration industry are simply unparalleled. About: Owner of Campus Ink, Steven is a prolific blogger, formally educated engineer, and bleeding-edge tech advisor. 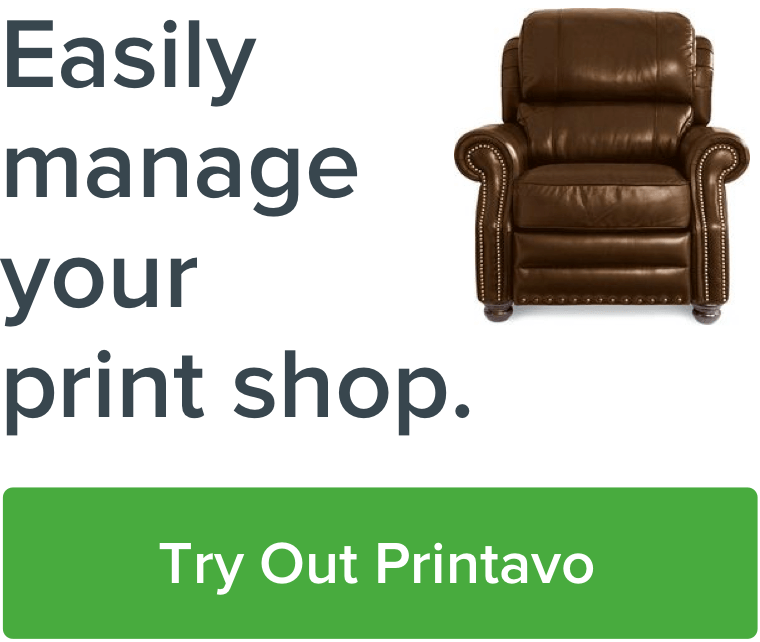 He's been instrumental in the ongoing development and improvement of Printavo. He'll show you new automations to make your life much easier by eliminating repetitive low-value tasks. About: Co-founder of Family Industries, Max takes part in hundreds of live printing events every year. He'll offer strategies and advice for developing a live presence for brand activation – and a unique angle on marketing your services. About: Co-founder of Rowboat Creative, Lucas' powerful vision and unique ability to execute a client's objective has led Rowboat toward a new model for what a "print shop" can be. Rowboat prints merchandise and creates experiences for bands, brands, and businesses with a totally different perspective on what's possible. About: VP of business development at Hireology, Kevin returns to PrintHustlers Conf to present serious strategies for boosting your sales and developing the right clientele for your business – and give us an update on his latest projects exploring what's possible for sales. 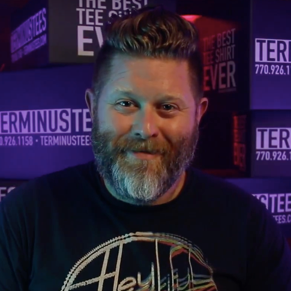 About: Owner of Terminus Tees in Georgia, Jon has created a totally unique video style that's central to his shop's brand. He'll show you the tips and techniques to put out quality video that compels your customers to take action. 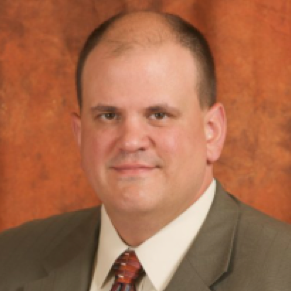 About: Business strategist at GLM Financial, Tom builds and deepens relationships to help leaders connect with experts, resources, and assistance they need to succeed. Humorous and caring, Tom "matches ideas with resources." New to the industry? Or a seasoned veteran? There's something for you. Marketing and sales are rapidly evolving. Google updates its algorithm 500 times a year. Facebook and Instagram are the new channels for building truly authentic brands. Customers are inundated with noise, obnoxious ads and social messaging...and they demand better service than ever before. One-click custom T-shirt orders are no longer a dream – they're becoming what people expect. "There's no magic trick for success in the garment decoration industry: you've got to hustle and be the real deal." Are you prepared to tackle this challenging environment? To make it all work in 2019, you'll need to be as flexible as you are persistent. Your marketing and growth efforts will pay off if you've got the knowledge, tenacity and connections. PrintHustlers Conf is where it all comes together. Tell it like it really is – with people who really know. PrintHustlers Conf is a place to learn. But it's also a place to connect through candid conversations about the challenges we all face in the custom apparel industry. Pricing problems, production headaches, awful customers, flaky employees, marketing nightmares, software challenges – nothing is off limits. Need a taste of what we'll share at PrintHustlers Conf 2019? Last year we went in-depth into vital topics: utilizing contract printing, training new hires, leveraging automation in your print shop and even brand building in a challenging market. We've hosted amazing conversations with Ryonet's Ryan Moor, the creator of Geico's caveman ad campaigns, and marketing gurus like Shelby Craig. This year we'll dive even deeper and go further to provide tremendous value in an action-packed two-day conference. Develop. Grow. Learn. Keep pushing forward. We started PrintHustlers Conf because we know what it takes to really succeed in this industry: grit, relentless improvement, a great story – and even some luck. What was missing? A place & time to get together with the people who love this work. A conference dedicated to sharing knowledge, building connections and pushing through the real challenges that we face. No one person can do it all! You need a team of dedicated and passionate professionals from diverse backgrounds that want you to succeed. PrintHustlers Conf 2019 is where you'll meet those people. A rising tide raises all ships. Bruce Ackerman, Printavo founder, at the first PrintHustlers Conf. We love everyone that's part of Print Hustlers. That's why we're hosting this magnetic event. If you do one thing to develop your skills, grow your business and connect with like-minded entrepreneurs in 2019, make it PrintHustlers Conf. We know you won't stop there. Only PrintHustlers Conf offers this amazing opportunity to focus on your business and learn from people who've successfully been there and done it. If you haven't already, join our Facebook group & start making connections today!